I wanted to post about how to keep produce fresh despite this warm weather. Eighty-nine degree weather doesn’t mean you have to eat your food the second you get home from picking up your CSA box. There are ways to keep the produce fresh long after pick up! 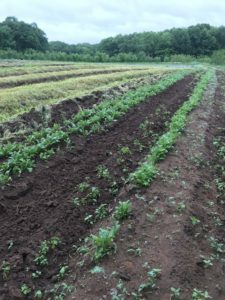 You might be saying to yourself that you joined a CSA program to have the freshest possible food or because you want to be a part of the local food economy. That’s great–we’re glad you’re here! But those things don’t stop the endless checklist running through your head asking why it might be wilted after picking it up: Was the food just picked? Yes. Was the food outside for a few hours? Yes. Was the food in the shade? Yes. But your produce does not have to stay sad. If the greens in your box today (or any day) ever look wilted, here are some helpful tips to ensure your food stays perky and fresh until the next box arrives. Asparagus: Place the upright bunch loosely in a cup of water at room temperature. 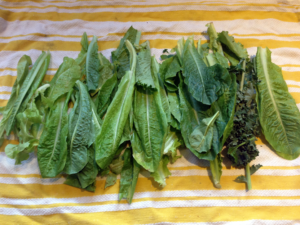 Arugula and lettuce: Rinse in cold water and pat try. 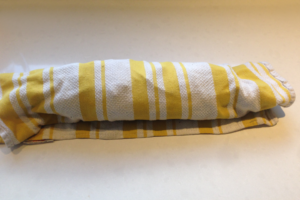 Wrap in a dry towel and store in an open container. Rhubarb: Wrap in a damp towel and place in the refrigerator. 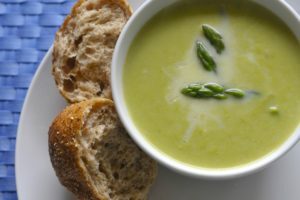 Snap Peas: If the sugar snaps made it home, throw the pint in the fridge and leave it uncovered. Spinach: Place in an open container in the crisper. For more tips, visit the Washington Green Grocer list.